Finding consistency and confidence in your fairway woods will help lower your score on the par 5's. Hitting fairway woods is a challenging aspect of golf, because the clubs don't have the makeup and flexibility for the golfer to easily lift the ball during a swing. The sweet spot is smaller than with irons, and mis-hits are more common. Golfers who stand too close to the ball, for example, may not get proper extension on their swings, making it harder to make solid contact. Stretch before you play by placing a wood behind your neck. Hold the club slightly above your shoulders, then turn your shoulders as far as you can relative to your hips in both directions. Stretching gives you the flexibility to make a full turn, and hitting a fairway wood requires a full turn of your torso and upper body. Position the ball a few inches inside of your front foot as you address the ball. This gives you the space to hit down on the ball and create lift. Slightly bend your back to comfortably reach the ball. Place more weight on your front foot, distributing it about 60-40. This will force you to descend to the ball and create a low and powerful line drive on follow-through. It may also keep you from topping the ball. Take a proper stance, maintaining good posture, and flex your knees. This keeps you from reaching for the ball and keeps your swing plane on target. Waggle the club face open on the first couple of feet of the takeaway. Many bad fairway shots are caused by a closed face--turned inside on impact. Opening the club face allows the hands to be in the correct position at the top of the swing and leads to better ball flight and distance. Sweep the ball with a long and smooth swing. 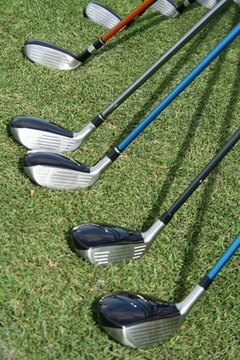 Unlike the shorter, choppy swings of irons, hitting a fairway wood should be like sweeping the ball from the grass. Your backswing should be deeper and your follow-through extended; imagine hitting to a spot a few inches beyond the ball.